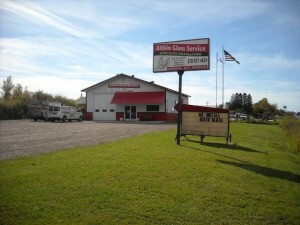 As Aitkin’s #1 choice for auto glass, residential glass, and commercial glass, we strive to provide the best service and affordable prices. Whether you’re looking for glass, mirrors, shower doors, screens or storms for your residential home or cabin, Aitkin Glass has it all! We also offer commercial glass needs, such as commercial storefronts and automatic door repair and replacement. For all of your auto glass needs, we supply OEM products, and the repair or replacement may be done at your place or ours. Contact the experts at Aitkin Glass for all of your auto, commercial, and residential glass installation and sales within the Aitkin – Mille Lacs area. We guarantee all of our work and are sure that you will be completely satisfied with our service. We look forward to proving to you that our professional, courteous team and our willingness to go the extra step will give you complete peace of mind and satisfaction. From window glass to glass shower enclosures, we handle all your glass needs. 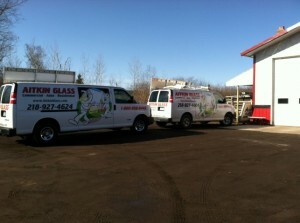 Again, thank you for visiting Aitkin Glass. We look forward to exceeding your expectations. Contact us today to see what we can do for you.